If you are allowed to treat your current health problems using medical marijuana then you need to procure the right marijuana strain. This plant features a multitude of strains and although all of them are beneficial for one’s health, some of these strains are more effective in treating certain ailments and illnesses than others. However, before learning about the different types of marijuana strains, you should remember to ignore their funny names. It is important to focus on our current health condition and get the right type of medical marijuana strain. Here are several types of medical marijuana strains and a couple of interesting details about them. You must know that medical marijuana can be separated into 2 main categories: marijuana indica and marijuana sativa. Afghani #1 is a type of medical marijuana strain which is pure indica or a combination of indica and sativa. It is used for treating chronic pains and similar symptoms. Similarly, another marijuana strain called the Big Bud has equal health benefits and it might be used in conjunction with Afghani #1. Obviously, blueberry is the name of a type of medical marijuana featuring a combination of indica and sativa. For many patients, this type of medical marijuana strain is effective in curing depression and anxiety. Also, you can combine it with OG-18, another type of medical marijuana strain which consists of a combination of marijuana indica and marijuana sativa. Check your local dispensary for more information and dosage instructions. If you are suffering from severe headaches and they don’t go away with basic headache pills prescribed by your doctor then medical marijuana might be helpful for you. In this case, White Gold as well as Super Lemon Haze are 2 types of medical marijuana strains which have been proved effective in treating severe headaches. Both strains are basically a combination of indica and sativa. If you have troubles falling asleep and remaining asleep then medical marijuana might also be helpful for you. This type of drug helps eliminate worries and anxiety, so sleep will come easier for you. In this case, make sure that you visit your local marijuana dispensary and ask for the Northern Lights strain. This is the most effective in dealing with sleep problems. If you have obtained authorization, you can even grow this plant on your own. Remember to ignore the funny names and focus on the beneficial health effects provided by this strain of medical marijuana. It can be successfully used to treat muscle spasms and it is a combination of both marijuana sativa and marijuana indica. 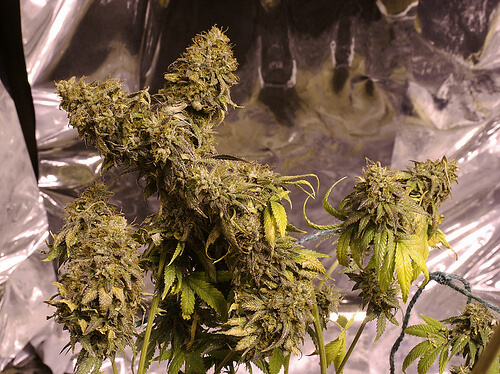 In a similar fashion, Black Domina is another type of medical marijuana strain which helps alleviating muscle spasms. This is marijuana indica only. Lastly, Apollo 11 is marijuana sativa only and it can be used to treat muscle spasms too. Patients who suffer from multiple sclerosis can alleviate the symptoms of this ailment by using medical marijuana in the correct quantities. If you suffer from this illness, make sure that you ask for the Island Sweet Skunk marijuana strain at your local dispensary. This is a combination of both indica and sativa and it is the most effective in fighting the symptoms of multiple sclerosis. Sour Diesel is another type of marijuana strain used for patients with multiple sclerosis. Yes, it is possible that these names were given by someone who was high from too much medical marijuana. In the meantime, SFV OG Kush is currently used for treating asthma as well as many other medical conditions such as back pain and arthritis. It is formed from 70% marijuana indica and 30% marijuana sativa and it features a lemony smell. Gas marijuana is sativa only and it can be successfully used for treating nausea. It has a light green color and it has a powerful, quick effect. This type of medical marijuana strain can also be used to treat digestive problems and headaches. In a similar fashion, Free Leonard is another type of marijuana strain which can be used to treat nausea and headaches. It has a strong effect, a bright green color, and it is made from a combination of marijuana sativa and marijuana indica. These are only a few medical marijuana strains and the ailments for which they are used. For more information and helpful pieces of advice, make sure that you contact us today. We are a trusted Canadian supplier of medical marijuana and we can help you gain access to quality medical marijuana to treat your medical ailments, diseases, and illnesses in a natural way.